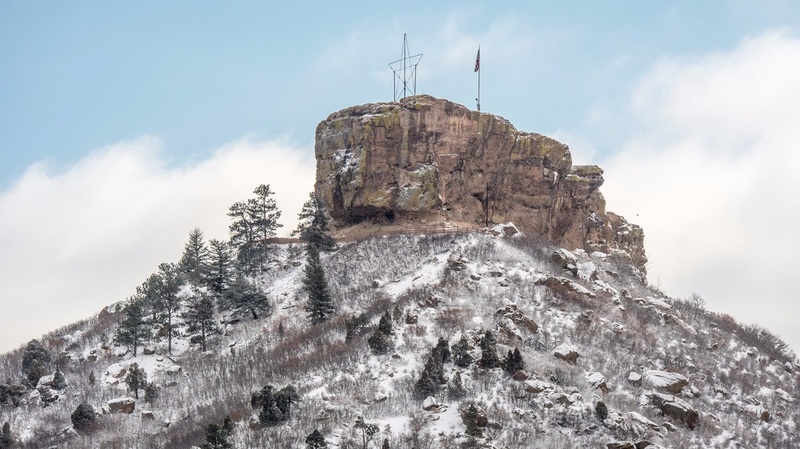 Since Castle Rock, Colorado was first founded long ago in 1874, it should come as no surprise that over those almost 150 years it has its fair share of spooky lore and hot spots for ghosts. Most of the haunted buildings and locations in Castle Rock are places that were first established over a century ago, during the early foundations of the city. There is surprising variety in the types of places that are allegedly haunted in the Douglas County area, including an old school house, bridge, church, and perhaps most bizarre—a golf course. Although there is quite a lengthy list of haunted hot-spots in the Douglas County area, we have brought you a few local favorites. The building that is now Castle Rock's Chamber of Commerce has always kept employees on their toes during their late work hours. The building was not always a public place, but used to be a private residence where a woman named Victoria lived. The spirit of this former resident is believed to be responsible for some unusual happenings. The staff have noted doors opening on their own, unexplained noises, and phones that ring off the hook, only to be answered with silence. Some Castle Rock residents believe so strongly in this tale that they will not set foot in the Chamber. Our company was asked to clean prior to large event and we were surprised to find out that the list employees that were actually willing to enter this historic site was very short! ​Most say that Victoria is simply lonely and looking for comfort from the residents of Castle Rock. Others say she has much more nefarious intentions. Only one way to find out! The Old Stone Church is another historical building dating back to 1888. The church was renovated several decades ago in order to become a restaurant, which continues to be open for business today. This old building is now known for being haunted by a number of spirits with that of a young girl being the most commonly noted. In addition to apparitions, there are rumors of unexplained electrical issues, and objects that move, fall, or fly through the air without explanation. That could make for an interesting meal! Just outside Castle Rock is the Castle Pines Golf Course which first opened in the 1980’s. Being one of the more recently established haunted hot-spots, it doesn’t have the same historical element as many of the others do, but has had bizarre happenings all the same. At one of the cabins on site, the staff have reported an array of strange events. These oddities have been primarily witnessed by the maids while cleaning the rooms, but have yet to be reported by guests oddly enough. They have reported the shower turning on by itself, things moving without explanation, and light bulbs burning out in dramatic fashion immediately after being replaced. Although the town of Castle Rock and the surrounding Douglas County area has many stories of ghosts and haunted buildings, these are our favorite. If you take a road trip through Colorado to visited haunted sites rumored to be inhabited by ghosts, make sure you hit a few of these popular spots! Whether or not the rumors of hauntings, strange happenings, and ghosts are real, the history and stories that have been passed down will be enough to give you goosebumps. Make sure to add these to your list of October visits.